Bettelheim and his family, on attempting to return to England, eventually found themselves immigrating to the United States. Bettelheim’s misadventures continued with his participation in the American Civil War as a surgeon for 106th Regiment of Illinois Infantry, leading ultimately to a failed court-martialing for “neglect of duty for leaving a soldier to die”. He was, however, guilty of “two charges of eating the patients’ food and of disrespect to his superiors” and he was (dishonorably) discharged. The redoubtable Bettelheim, still up to his old tricks, continued meanwhile to improve his translations with the help of some Japanese living in the Chicago area, making his texts more uniform with “standard” Japanese. After a few years of lecturing and running a pharmacy, Bettelheim relocated to Brookfield, Missouri, where he died in 1870. His widow Elizabeth offered the manuscripts of her husband’s revised editions to the British and Foreign Bible Society along with a sum of $400 towards the cost of printing the Gospel of John. The Gospel was published in Vienna in 1873 with the help of sinologist August Pfizmaier (1808-1887). Bettelheim’s Gospel of Luke (now in its third version) was published in the same year, and in 1874 a revised and retitled Acts of the Apostles followed. These editions were published in hiragana script and their title pages are markedly different from their predecessors. It would be generous to say that Bettelheim’s role in Okinawan history is checkered, and some historians like George Kerr have portrayed him as somewhat mad. As a persona non grata of the Ryukyu Kingdom, he indirectly helped pave the way for Western military intervention in Okinawa and in Japan. And although he failed as a missionary (he only successfully converted one man, who later died in imprisonment), he introduced the smallpox vaccine to the islands, despite the reluctance of officials to accept his teachings on medicine and science. But Bettelheim’s most enduring legacy are his contributions to Biblical translation, not so much for their successful implementation in proselytization, but rather for their preservation of historical language use in the Ryukyu archipelago. By way of epilogue, I’d like to mention that in 1926 a monument to Bettelheim was erected at Gokuku-ji, the temple his family had occupied, by the reverend Earl J. Bull’s “Bettelheim Memorial Mission.” The 14 foot high structure included 10 stones contributed by major localities in which Bettelheim worked in lifetime, and also bore a quotation from Bettelheim’s Gospel of John. While the monument was destroyed in World War II, a digital copy of the rubbing is available through the University of Hawaiʻi at Mānoa. The University concludes that “the rubbing provides a rare physical representation of a structure that can no longer be directly studied.” Luckily for scholars in the United States, the Evans Collection and the Penn Libraries have helped to prevent the same fate from befalling physical copies of Bettelheim’s Bible, whose imminent digitization will reach an audience far larger than Bernard Jean Bettelheim could have ever had in his lifetime. 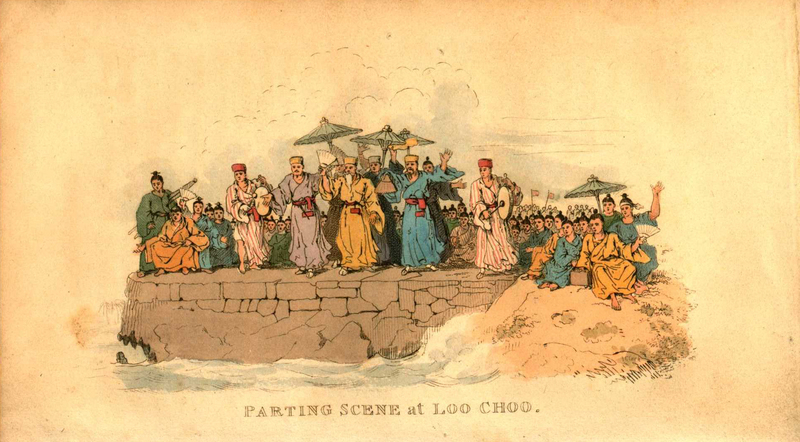 See Hall’s Voyage to Corea and the island of Loo-Choo; though Bettelheim likely had a copy of the edition with Clifford’s Loochooan and Japanese vocabulary at appended). I suspect that the what should appear in Bettelheim’s diary is actually מישה and not מיטה as it appears in reprint. Whether this is a defect in the original diary or in the modern transcription is uncertain. The “Jesus” connection becomes a bit more apparent considering his Aramaic name Yeshua (ישוע), though Yūji itself is a fairly common male name. As a result of these circumstances, some agencies have wavered in their language classification of these books, though at the Penn Libraries we have cautiously chosen “Japanese,” especially considering that the Library of Congress has yet to include Okinawan on their official list of language codes for bibliographic records. Reproductions of manuscripts held at the British and Foreign Bible Society Library. Tokyo : Shinkyō Shuppansha, 1979. ・ First “Loochooan” edition. Hong Kong, 1855. ・ Reproduction of above. Tenri : Tenri Daigaku Shuppanbu, 1977. Classica Japonica facsimile series in the Tenri Central Library, Section 10, Varia II, vol.2. ・ Revised second, “Loochooan,” with Delegates’ bilingual edition. Hong Kong, 1858. ・ Reproduction of above. Tenri : Tenri Daigaku Shuppanbu, 1977. Classica Japonica facsimile series in the Tenri Central Library, Section 10, Varia II, vol.6. ・ Reproduction of same. Tokyo : Yumani Shobō, 1999. Bakumatsu Hōyaku Seisho shūsei, vol.18. ・ Third, “Japanese” edition. Vienna, 1873. ・ Reproduction of above. Tokyo : Yumani Shobō, 1999. Bakumatsu Hōyaku Seisho shūsei, vol.19. ・ First, “Loochooan” edition. Hong Kong, 1855. ・ Reproduction of above. Tenri : Tenri Daigaku Shuppanbu, 1977. Classica Japonica facsimile series in the Tenri Central Library, Section 10, Varia II, vol.3. ・ Revised “Japanese” edition. Vienna, 1873. ・ First “Loochooan” edition. 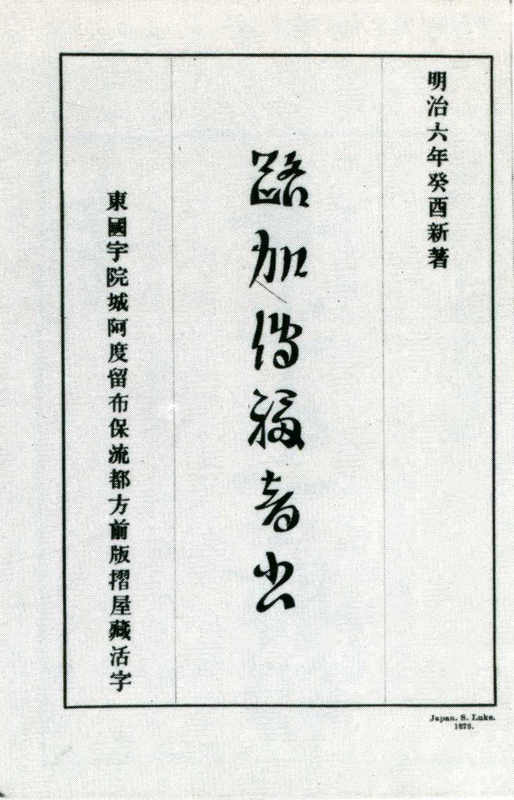 Titled Seisa genkō den [聖差言行傳]. Hong Kong, 1855. ・ Reproduction of above. Tenri : Tenri Daigaku Shuppanbu, 1977. Classica Japonica facsimile series in the Tenri Central Library, Section 10, Varia II, vol.4. ・ Revised “Japanese” edition. Retitled Shito gyōden [使徒行伝]. Vienna, 1874. (Perhaps also published as another edition in London : British and Foreign Bible Society, 1874). ・ Reproduction of Vienna edition above. Tokyo : Yumani Shobō, 1999. Bakumatsu Hōyaku Seisho shūsei, vol.21. ・ Reproduction of above. Tenri : Tenri Daigaku Shuppanbu, 1977. Classica Japonica facsimile series in the Tenri Central Library, Section 10, Varia II, vol.5. B.J. Bettelheim [B・J・ベッテルハイム]. In Kindai bungaku kenkyū sōsho, vol.1, expanded and corrected (“zōtei”) edition. (Tokyo: Shōwa Joshi Daigaku Kindai Bungaku Kenkyūshitsu, 1969). Bakumatsu Hōyaku Seisho shūsei bessatsu [幕末邦訳聖書集成別冊]. (Tokyo : Yumani Shobō, 1999). Supplement to series Bakumatsu Hōyaku seisho shūsei, a collection of Japanese translations of Bible texts from the later years of the Tokugawa Shogunate. Bettelheim, B.J. The journal and official correspondence of Bernard Jean Bettelheim, 1845-54. Edited by A.P. Jenkins. Okinawa kenshi. Shiryō hen, vol.22-22. (Naha : Okinawa-ken Kyōiku Iinkai, 2005-2012). Ebisawa, Arimichi [海老沢有道]. Saisho no Hōyaku Seisho, Gyuttsurafu to Betteruhaimu yaku Seisho [最初の邦訳聖書 ギュツラフとベッテルハイム訳聖書]. (Tenri : Tenri Daigaku Shuppanbu, 1977). 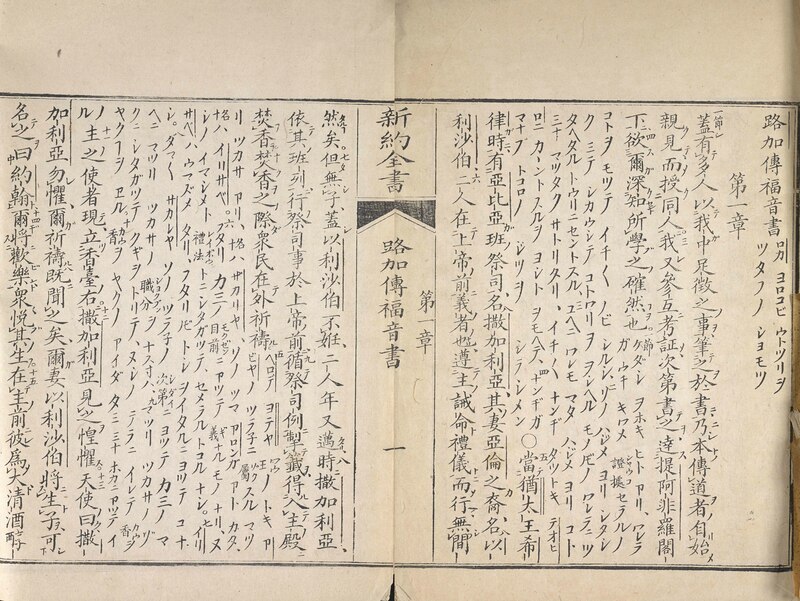 Explanatory supplement to Classica Japonica facsimile series in the Tenri Central Library, Section 10, Varia II. ・ Also published as a single work by Yūshōdō Shoten in the same year. This edition lacks the series introduction. Higashionna, Kanjun [東恩納寬惇]. The Bible in the Loochoo dialect. The Japan magazine, vol.26:no.2, pp.50-52 (Nov. 1925). ―. Dr. Bettelheim’s study of the Loochoo language. The Japan magazine, vol.26:no.3, pp.78-81 (Dec. 1925). Hoole, Elijah. The year-book of missions. (London : Longman, Brown, Green, and Longmans, 1847). Iha, Kazumasa [伊波和正]. A contrastive study of Clifford and Bettelheim [Japanese]. Bulletin of Department of English Okinawa Kokusai University, no.15 (1996). ―. Bettelheim’s “Dictionary” : Basic vocabulary research [Japanese]. Journal of foreign languages, Okinawa International University, vol.1:no.1 (1997). ―. Gutslaff and Bettelheim : A contrastive study of translations of St. John [in Japanese]. IBID. Kerr, George H. Okinawa: History of an island people. Revised edition. (Boston : Tuttle, 2000). Kizu, Yūko [木津祐子]. Bettelheim and Chinese : one aspect of the use of Mandarin in the Ryukyu Islands [Japanese]. Bulletin of Institute for Interdisciplinary Studies of Culture, Doshisha Women’s College of Liberal Arts, no.19 (2002). Nomoto, Kikuo [野元菊雄]. Betteruhaimu no “Nihongo” kenkyū [ベッテルハイムの「日本語」研究]. Kokugogaku, no. 108: “Gaikoku shiryō ni yoru Nihongo kenkyū” [外国資料による日本語研究] (March 1997). parts of Japan. (Cincinnati : Jennings and Graham, 1908). Takeishi, Kazumi [武石和美]. Ryūkyū no kikōbon [琉球の稀覯本]. Hōsho gekkan [彷書月刊], no.3 (1990). Williams, Samuel Wells. 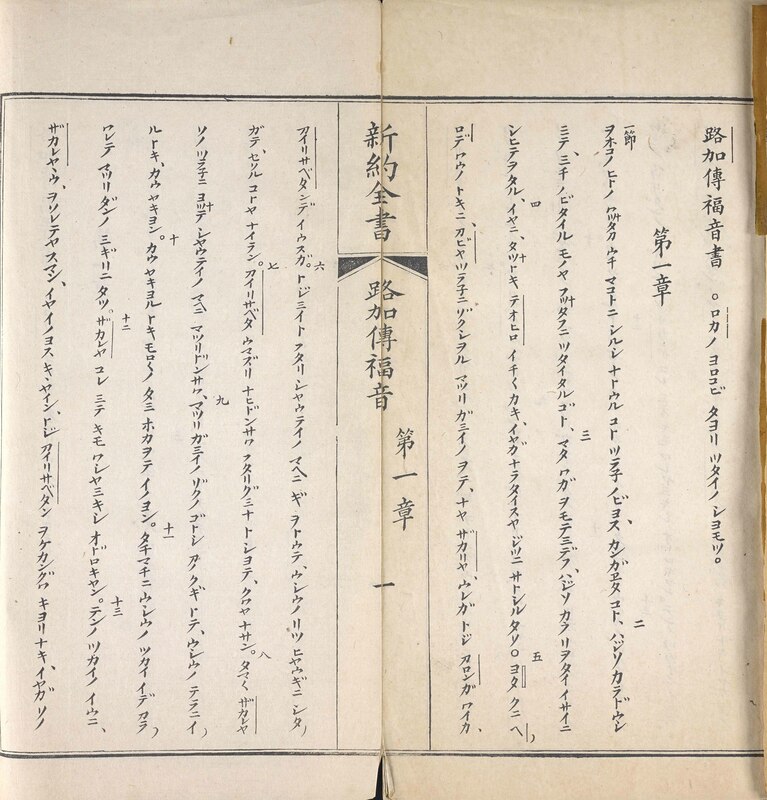 A journal of the Perry expedition to Japan (1853-1854). (Yokohama : Kelly & Walsh, 1910). Michael is the library specialist for the Japanese and Korean collections at the University of Pennsylvania Libraries. He has written Chrono Trigger for Boss Fight Books (where he serves as associate editor), and his shorter work has appeared in The Atlantic, The Appendix, and the Journal of East Asian Libraries.